Without a high-quality car amplifier, your car audio system isn’t up to the mark. If you are an audiophile, a good car sound system will be your best buddy on long drives. But, is building the best car sound system easy or not? Not many years ago, building a good car stereo system usually costs a thousand bucks for a stable audio system with all the necessary components. As technology changes everything, it also cuts the production costs down and ensures delivering decent performance and power output. No matter how you build your car audio system, you need the best car amplifier to complete your dream setup. 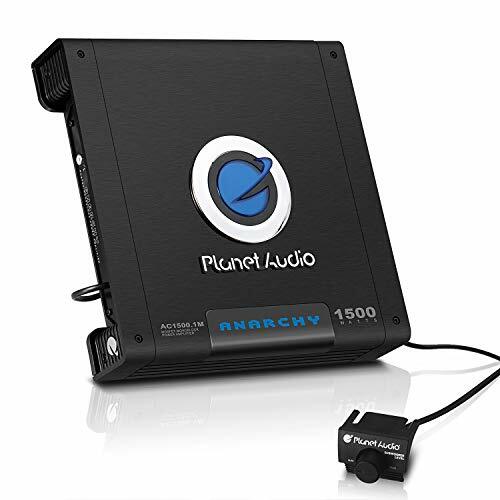 However, we have compiled a list of the best car amplifiers based on the essential features so that you can get essential knowledge on the different type of amps and decide the best one for listening endeavors. An amplifier is a device that boosts the power of an electrical signal or wave of the subwoofers and speakers. The Monoblock which has single channel amps is the widely used amplifier to boost the power of the woofers. However, you can find some other speakers called 2, 3, 4 or even more; that depends on the number of the channels it carries. In addition to the channels, the amplifiers are also classified by class. 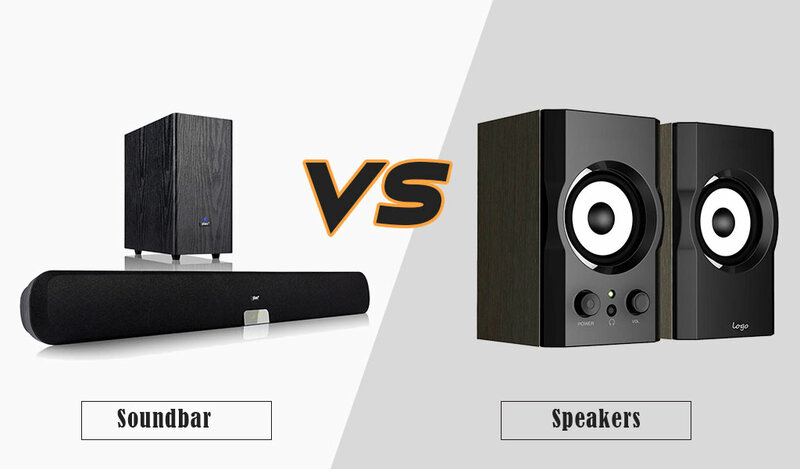 A, B, A/B, and D are the most popular amplifiers you may find in the market. There are another two classes: G and H. Both of them are not officially recognized by the industry leaders as well as the enthusiasts. Among all, A & D are the most used ones. You can also get custom-made amplifiers if you have special features requirement or choice. By the way, no matter which class of amplifier you chose, the main purpose of using an amplifier is to amplify the power and the sound quality of the speaker. Why Should You Use A Car Amplifier? Though your car comes with factory-installed amplifiers, it is quite sure that they are inferior to the manually-installed amplifiers you get after-market components. The scenario is changed over the years, but still, it is not up to the mark. So, if you want to listen greater bass with boosted power, an additional amplifier would be an excellent choice. However, if you are still dubious, the following features may help you make up your mind whether you need a car amplifier or not. Improved Sound Quality: Probably the power source, as well as the sound source, isn’t improved enough to produce the best sound quality. That’s why the car amplifier provides clean power sources to produce sound. Also, it significantly enhances the sensitivity and the response of the channels. Upgraded subwoofer: If you want to use a car subwoofer instead of factory-installed speakers, it requires more power to produce the desired level of sound. As your previous amplifier can’t handle the required power, you must need this new car amplifier that fits the upgraded subwoofer. 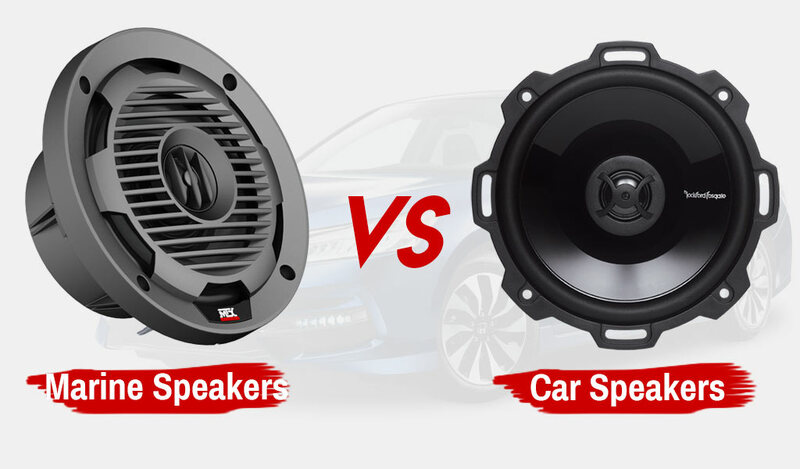 Upgraded Speaker: Though your car audio system comes with a pre-installed speaker, most of the time it isn’t sufficient enough to meet your demands. Music lovers usually change the speaker for a more powerful audio system. However, for installing the new and upgraded speaker, a car amplifier is a must-needed one. 1. What is the necessity of an additional fuse at the battery? Ans. A fuse is the safeguard of the electrical tools and electronics. It saves the electronics from electrical mishap by burning itself. Installing a proper amperage of the fuse on the power cable protects it from the danger of the short circuit. A short-circuit bearing electricity is considered as a positive where the chassis of the car is a negative body. The touch of the negative and positive electricity will result in an electrical mishap. So, installing a fuse can prevent this mishap by stopping the flow of the electricity. It blows itself for the short circuit but saves the car as well as your life. 2. 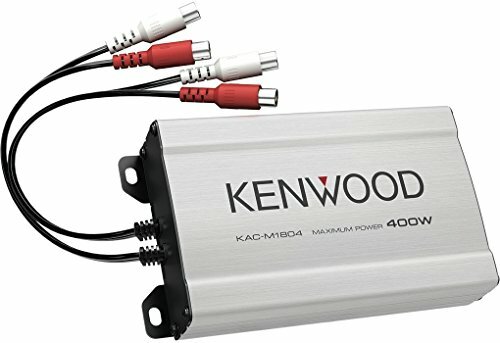 Do I need power and ground wires for the car amplifier? Ans. The default wire that comes with the amplifier is not thick enough to carry a lot of electricity. So, you need a thick wire that can carry heavy electricity to the vehicle without resistance. Hence, you should install the compatible size of wires that is specified with the amplifier. Remember that the thick wires you use for power and ground wiring will consume more juice from the battery. It’ll drain the battery life sooner than the thinner wire. 3. How much air space do I need around my amplifier? Ans. An amplifier produces heat by consuming electricity as the power. The heatsink of the amplifier absorbs and dissipates the heat and makes it cool. So, you should give a few inches airspace around the amplifier so that the heatsink can absorb fresh air to make it cool as soon as possible. Pay a conscious look when you mount the amplifier. The amplifier should be mounted in such a way that fans of the heatsink can run fluently, regardless of mounting vertically or horizontally. The main consideration is that the air can escape efficiently. If the heatsink can’t dissipate the hot air, the amplifier may be burnt. 4. What is the difference between RMS Watts and Peak Watts? Ans. Watt is the unit of power. It shows the power capacity of a battery or any other electrical tools. RMS watts is the unit of measuring the power capacity of components for comparing and matching gear. On the other hand, peak watts is the decrypted value of the marketing department describes the specifications. Usually, it is the double value of the RMS watts. 5. What is impedance and how it works? Ans. the electrical resistance that resists the continuous flow of electricity is called impedance. It is a voice coil that resists voltage from the amplifier to the speaker. Unlike the fixed resistor, the impedance of the car amplifier varies for different frequency of a signal. The impedance of the amplifier works against the sound capacity of the speaker. The less power the impedance, the louder the sound. Usually, the impedance of the amplifier is 2 ohms that ensure stability, durability and better sound quality. An eternal experience of music can enhance your productivity, and hence BOSS has brought the excellent car amplifier Audio Riot R1100M. The amplifier can manually customize the sound through low pass crossover. It also boosts the bass of the speaker by providing enough required power. Most importantly, the amazing car amplifier provides excellent sound performance at an affordable price. So, how does it provide more power to produce more volume? You shouldn’t be worried about the high level as well as low-level inputs. The sound engineers of the BOSS do know which fits perfectly for stable power supply. The speakers or the subwoofers get a 2-ohm stable power that is much needed for producing more power and volume. Here, the low-level inputs get pre-amp output signals when the high-level inputs accept speaker output signals. Both of them allow additional processors and amps for replacing factory-installed components. Also, the variable low pass filter gives you full control over the frequencies that pass through the subwoofer. And, what’s more? The magnificent features aren’t ended up yet. To protect the amplifier from getting hot, it has an automatic shut-off. 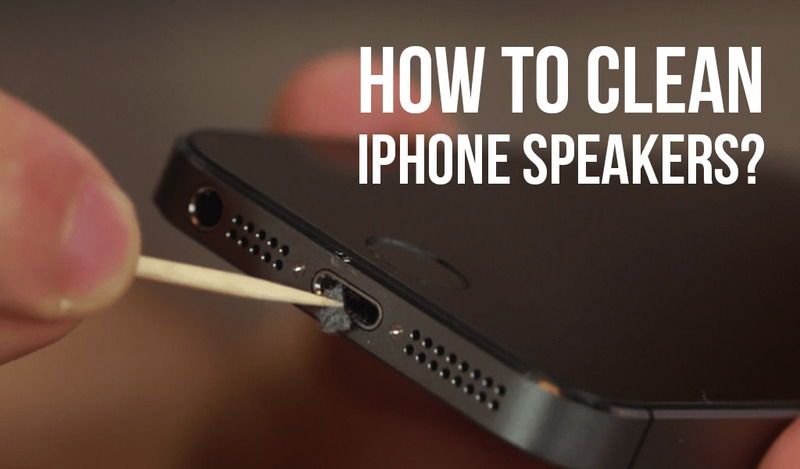 It also saves the speaker that fails to cause a short circuit. Moreover, the amplifier can match the input signal to the output by allowing a variable input control. So, the optimum performance is achieved precisely and perfectly. Or even better the high-efficiency output is ensured through the quick switch of the MOSFET. It transfers the speaker from non-conduction to the full action with no time. And, here is the most exciting feature of the car amplifier. The A/B amplifier reduces the distortion by applying specific linear circuitry and improves efficiency. In addition to the efficient sound, this amplifier allows you to boost the low bass up to +18db which produces crystal clear sound. 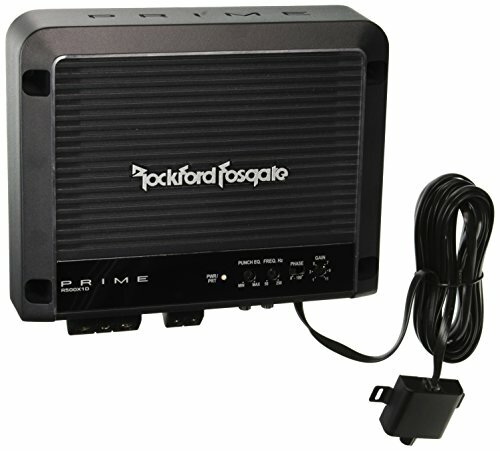 If you want a class-D amplifier in a small package, this Rockford Fosgate Prime R500X1D will perfectly satisfy you. It comes with a 500-watt mono amplifier that is capable of running 2-ohm load. It also includes an on-board punch bass and a remote punch level control that ensure superior sound quality and control. The PLC ensures real-time output for 0/180 phase and the power supply thermal ensures 4 gauge power. So, the MOSFET can efficiently protect the amplifier from short-circuiting. However, the car amplifier is crafted with solid materials that fit in a comfortable position. Actually, Rockford knows what can make the amplifier looks elegant, and it has done the magnificent design. The visual impression of the black colored Rockford Fosgate R500X1D gives a pretty impression to the users. Moreover, the frequency response of the amplifier is from 20Hz to 250Hz. As it is one of the top-rated car audio amplifiers, it can work with a low pass, a high pass and pass filter, etc. So, if you want to listen to the low bass, we think +18db is enough to give you a memorable experience. But, if you are a music freak, listening music on 45Hz constantly will not only be helpful but also will reduce risk. Besides the abovementioned features, the thermal sensing technology controls overheat of the amplifier. So, you are free from tension for this combined protection suit. Even tuning the Rockford Fosgate R500X1D requires no engineering knowledge. Moreover, the R500X1D comes with a 2-position phase that gives you enough control for matching 0°/180° phase with your speaker system. Also, the heavy cast aluminum ensures a long life for playing pieces of pieces of stuff. A wired remote comes with the package that helps you to control your music by sitting at a place. If you have a tiny place, but you don’t want to compromise with the sound quality, Pioneer GM-D8601 is a perfect choice. It has a powerful sound impact with a versatile design that amazes you. The sharp-looking masterpiece is a Monoblock amplifier that sends up to 800 watts RMS. Also, the amplifier comes with a little workhorse that can easily handle the 1-ohm load. You are completely worried-free about the impedance when you connect the speaker to the amplifier. As it has 1-ohm stability, it can provide extreme power to run several subwoofers and applications. The Class-D digital amplifier is the mark of technological improvement of the sound industry for its extreme power capability. But, surprisingly it is 50% smaller than similar powered class-AB amplifiers. So, it is not only versatile for design but also for the performance. However, if you prefer for listening to the music personally, it has special low pass filter that makes the audio frequency adjustable. It can produce the sound frequency through a low pass filter for 40Hz to 240Hz. Also, you can connect the speaker with your OEM unit without requiring additional add-on adaptors. It saves your money as well as goes for songs faster. And here is the amazing feature of Pioneer GM-D8601. The exceptional Pioneer’s car amplifier includes “Protection Control System” that measures the internal temperature. By measuring the temperature, it automatically moderates the input level. So, stability, durability and continuous power supply is ensured. 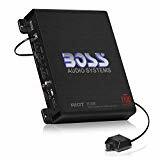 Likewise, every other new class-D amplifier, the best car amplifier for bass also has a wired bass boost remote control that helps to adjust the bass level. So, it is easy for you to listen to your preferred songs. Kenwood KAC-M1804 is a more powerful 4-channel amplifier that provides more than twice the power of other available car stereos. So, if you want to listen to a powerful sound, it meets your demands for such specification. Though it comes with 4 channels, the amplifier ensures up to 45 watts RMS per channel. The simple car amplifier is crafted with a plastic cover that prevents water and snow to get into the body. Also, it protects the connections from getting in the moisture and salt. So, no matter where you use it. It is versatile in use for cars as well as in water boats. Thus, it takes your travel to another level by playing your favorite soundtracks. Either way, the Kenwood KAC-M1804 can control the speaker-level signals and receives radio signals without using an RCA output. So, when you are in the water, you may help someone by receiving the emergency signal which needs. Also, the amplifier can connect to the RCA cable with any receiver. Most astonishingly, you needn’t install to turn it on. Instead, it’s a self-directed amplifier. Besides, this car amplifier enhances the clarity and the impact of the basic sound system that fits almost all places such as in the water or the vehicle. Especially, it fits well in the right place. So, if you’re hesitant to set a new sound system in your car, this car amplifier can be a great choice. Also, it is perfect for the water as water or moisture can’t stop it from playing music. Though this Pioneer GM-D8601 has been reviewed above, why we mention it here again. Don’t get confused. We are going to make it clear. 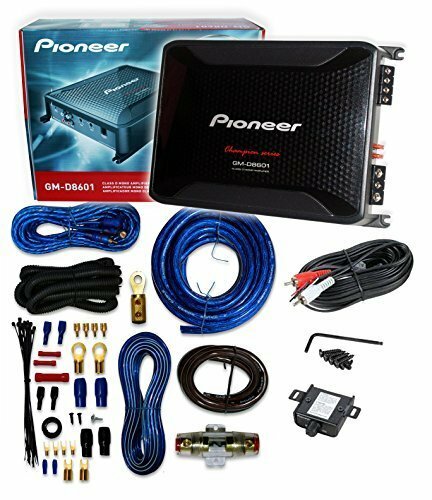 The amplifier is same, but this model comes with the amplifier wiring kit which is much needed for installation your car audio system. Don’t you think that 4 gauge length is enough to cover your cars’ stereo installation? The mono subwoofer amplifier comes with a 19’ remote cable that has RJ-25 connects at each end. SO, connectivity is well ensured for seamless playing music. Moreover, the amplifier provides up to 800 watts of power to handle RMS for smooth and continuous playing soundtracks. In addition to the cable, the package includes four 5/8” and two 3/8” self-tapping screws. So, it abstains you from buying addition kits to set up the system. And another thing is the 8” speaker-level input adaptor. This adaptor connects well for the precise output signal from the speaker. But that’s not all. The car amplifier package also has a 3mm Allen wrench to tighten the screw of the amplifier as well as the audio system. In any case, you can’t ignore the safety related to the electric power. Pioneer takes into the account of your safety, and that’s why the small package comes with two 40 amp ATO fuses. The fuses are preinstalled in the amplifier. Planet Audio is here to break the barriers of sound. Its anarchy series is perfectly named for the people who like to live like a mobile anarchist! If you want to create your own music world, Planet Audio helps you to control the music rules. 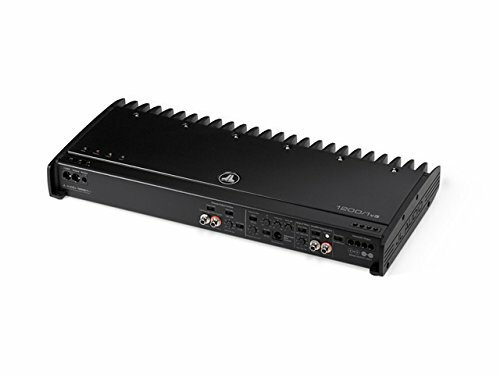 The AC1500.1M is a class- A/B Monoblock amplifier that can provide up to 1500 watts power. With MOSFET power supply, the Monoblock helps you to set your audio experience. As this anarchy series has come to break the music rules, you can customize sound with variable low pass crossover. You can control the sound with Remote Subwoofer control without leaving your place. Also, the Bass Boost provides crystal clear and loud sound. 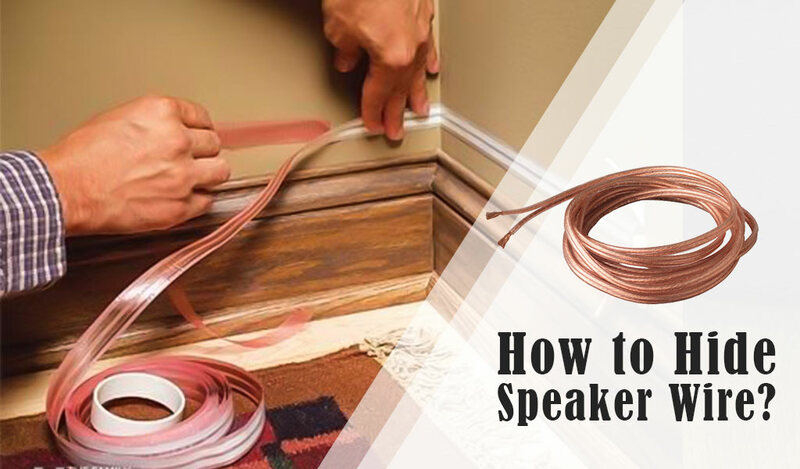 If you want loud sound, you need to supply more power to the speaker. Hence, the speaker or subwoofer has 2-ohm stable power supply that results in louder sound. Also, it has high-0level input and low-level input for accepting output signals. 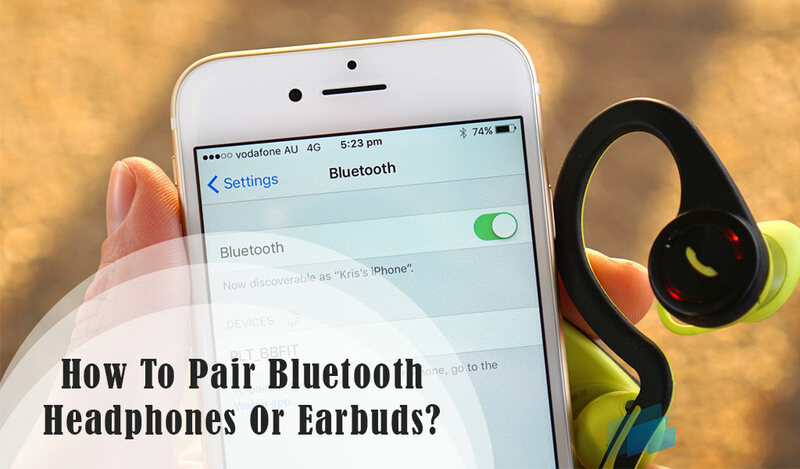 Both of them are compatible with additional amps and processors that are found as after-market components. In addition to the latest technology, the MOSFET can quickly transfer the transistors from fully activated to non-conduction. So, the high-efficiency output is ensured for continuous playing music. Also, the specific linear circuitry enhances the sound quality and reduces sound distortion. By combining the above processes, the Monoblock amplifier ensures efficiency. But that’s not the all. The car amplifier comes with automatic shut-off technology that protects the inner components from getting too hot. So, they are durable and capable for long life-span service. Also, it has a variable low-pass filter that allows you to control over the frequencies. And, anything else special? This car amplifier has exceptional Switchable Input Sensitivity that can adjust the input signal with the head unit so that you can balance the sound quality and the power. So, there’s no chance for providing over the power supply. As all the best car amplifiers have to go through our different tests, the JL Audio Slash Series makes an impressive result in our loudness test. The components of the model are crafted in such a way that can provide up to 1200 watts without creating a short circuit. As it puts out 1200 watts RMS to the sound system, it can produce the sound as loud as you want. Featuring an all-black look, the Slash V3 ensures a long lifespan for its high-quality materials. It has patented Class-D output circuitry that enhances the power 20% more than the similar V2 available car amplifiers. Beyond that, the combination of a parametric equalizer and the advanced crossover controls make the onboard signal processing unit works efficiently. Getting hot is one of the main problems for getting cankered of the car amplifiers. To avoid overheating, the building materials cast aluminum heatsinks disperse heat quickly. So, the body remains cool all the time and gives reliable operation. Moreover, it doesn’t require high-skilled knowledge for smooth running as it comes with easy installation and easy access for all the units such as inputs, outputs, and the front panel. In addition to the patented Class-D output circuitry, the JL Audio Slash v3 features RIPS (Regulated Intelligent Power Supply) technology that ensures constant and consistent power supply to the speakers. It also helps to control load impedance and supply voltage. Moreover, the Advanced Rollback Thermal Protection has come to keep your music playing on any demanded condition. Besides, it is an excellent tool to listen to the great tunes. You can listen to Ed Sheeran’s “Shape of You” to Paul Simon’s “Diamonds on the Soles of Her Shoes” without missing a step. It gives you an amazing experience of listening to your favorite tracks in the studio mode operations. As it produces up to +50db sound of noise rejection, the signal and the protection circuitry come up roses. Overall, its performance and power handling make it worthy of a high-end price. With almost three and a half decades of experience, the Crown Audio leads the audio industry with many innovative products. It makes audio amplification for cinemas, touring rigs, installed sites and commercial or portable PA. Hence, Crown XLS1502 is an excellent gem from the renowned company to the music enthusiasts. Crown is one step ahead for innovating technical advances. Multiple patents are the significant example of this never-ending list for achievements in sound. Likewise, many other patented achievements, Drive Core technology is the new evidence of improvement that ensures seamless streaming. The Drive Core technology of the new XLS1502 drives 525 watts RMS for clean power. It is enough to produce a decent sound with low distortion. So, you will have nice music to enjoy. Also, the ultra-efficient technology weighs less than 11 pounds that match precisely with the Class-D amplifier. Moreover, the channels have built-in 4 ohms resistance to prevent an accidental short circuit. Besides, the class-D amp keeps the internal temperature under control by employing a forced-air Colling system and an automated fan. You can also play a wide variety of speakers with this 525 watts RMS for its 4 ohms resistance. And, once again the Drive Core Technology. The front-end drive circuit leverage maintains the superb sonic characteristics to exhibit exemplary audio quality. Also, the amplifier has the front panel includes volume control knobs, LED audio indicator and LCD screen. So, you can control everything of your speaker as well as the amplifier from a single place. In addition to the Drive Core technology, the BCA (Balanced Current Amplifier) ensure getting more power by preventing waste. Though it gets more power, it requires less power from the AC supply to provide unprecedented efficiency. This is how the car amplifier saves your bucks. 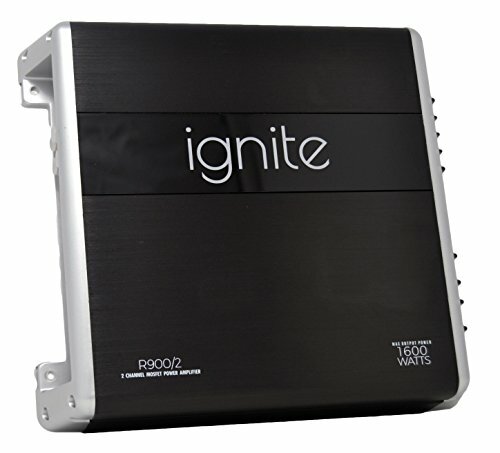 If you want pick power from your car amplifier, Ignite Audio is here to provide up to 1600 watts RMS for louder and greater sound. It comes with 2 ohms resistance that controls the lowest impedance. So, the sound is pleasurable with a stable power supplying. Also, this 2 ohms amplifier can comfortably power subwoofers or speakers by using all channels. More than the above features, the car amplifier comes with less than 0.1% total harmonic distortion, and it is up to +90db. It helps to produce sound without creating irritating noise. Besides, the frequency rate is 20Hz to 20KHZ that fits precisely with the human listening level. So, what does it makes more flexible? Our expert team thinks that using both high-level inputs and low-level inputs in an amplifier makes gives it the flexibility to build a versatile audio system. So, this car amplifier fits well with any standard factory or after-market source unit. Once again, how do these duos units work? Here is the answer. The high-level inputs allow the signals from the speakers whether the low-level inputs accept the signals from the pre-amp source unit. Either way, the car amplifier has a Class-A/B amp inside the unit. It is one of the best amplifiers to produce great quality sound. Moreover, the specific linear circuitry provides an optimized circuit layout that reduces distortion for clearest sound quality. Likewise other reliable features, the MOSFETs are trusted to amplify or switch a signal. It ensures reliable performance as it requires less power to operate for better-suited car studio. Another feature is the variable gain control that allows you to balance the amp output. Also, you can control the frequencies through the subwoofer by employing a variable low-pass filter. Ultimately, this is a worthy investment on car amplifier if you want more power in affordable cost. 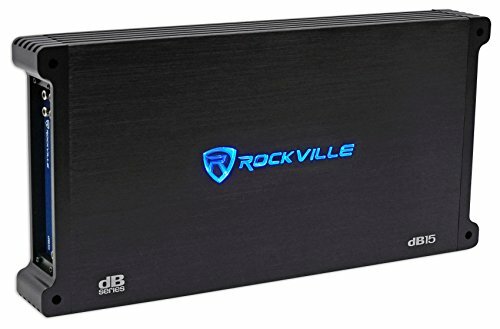 If you want a more powerful amplifier that includes all the features in a package, the Rockville dB15 meets your demands. The powerful amplifier can provide up to 6000 watts RMS that you can’t find in any other similar-featured amps. The Monoblock amplifier comes with 2 ohms stable resistance that ensures the best value for the car stereo. Featuring 12/dB or Octave crossover, the amp fits well with different circuitry. It is also more convenient for coming with an adjustable bass equalizer, subsonic filter, a phase control switch and most importantly the dashboard subwoofer. By the way, this dB15 amplifier is precisely protected by a distinctive IC controlled circuit. So, the distortion-free music is ensured at all levels for this professional peak limiter circuitry. So, what makes it more special than other available units in the market? The RCA inside the amplifier allows accepting all types of inputs such as balanced and unbalanced. So, your car audio is free from potential interference as the balanced input adjust the susceptible noise. In addition to the RCA input, the car amplifier integrates the optical coupler technology. It also ensures less than 1% noise distortion so that provided sound can be played with full of bass but noise free. Also, as the loudness depends on the power the speaker gets from the amplifier, we think 6000 watts is perfectly enough to get the loudest sound for a party. Driving while your favorite playlists are playing in the car audio system is not only fun but also entertaining and relaxing. 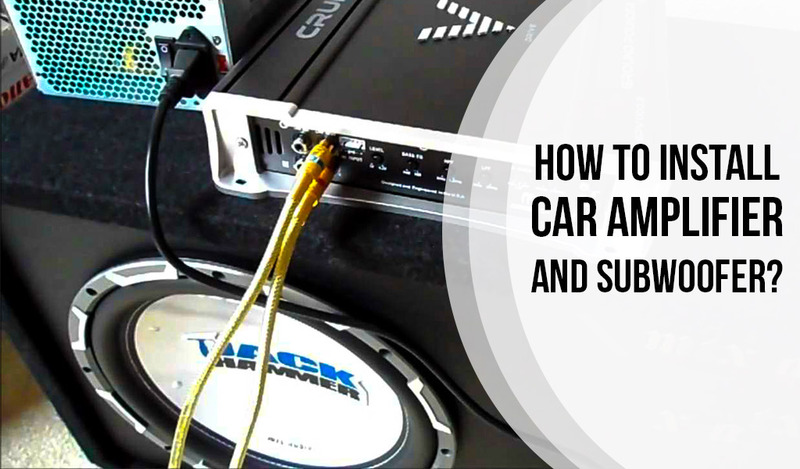 But, building a high-quality car audio system isn’t as easy as you think. 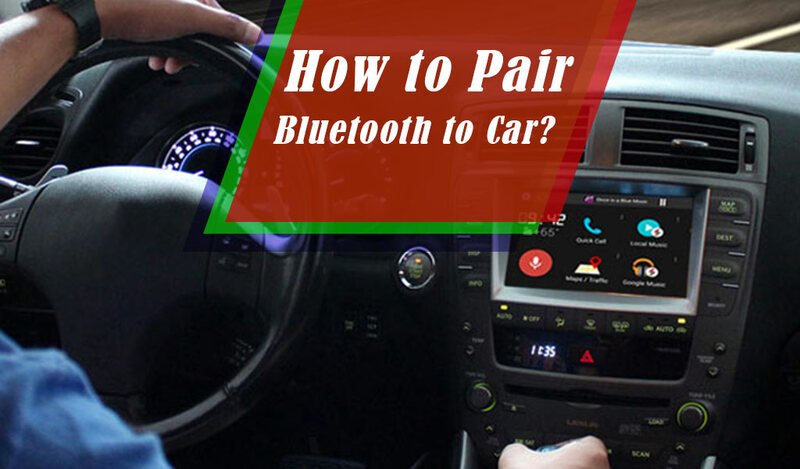 You must get the best car stereo system to get great sound quality. However, finding the best car amplifier is a perplexing process. Even you may not get the perfect units if you don’t know the ins and outs of an amplifier. Here, we have put together all the information that is required to get the best value from a car amplifier. We think this guide will be helpful to lead you to the right decision. A channel of the car audio system refers to the electric circuit that carries an electric signal to the speaker. However, a car amplifier features multiple channels to provide a signal for multiple speakers. As many channels are available, you may be hesitant to get the right number of channels. Don’t worry. The channels have a distinctive configuration, and it depends on the number of the speakers. That means each speaker needs its own channel. However, there are several channels amplifiers such as Monoblock, 2 and 4 channel and 5+ channel. When an amplifier comes with a single channel, it is called as Monoblock amplifier. It is usually used for providing bass as it never drops the ohm load. Also, it is affordable in price as well as durable and reliable for utmost sound quality. If you need to cover a wide range into your speaker, then 2 or 4 channel amplifier will be a perfect choice. It requires more power to produce the louder sound. The main complaint against this amplifier is that it gets hot after playing several hours. When you want to cover the entire system such as 2 front speakers, 2 rear speakers, and a sub, then this 5+ will be an amazing amplifier. 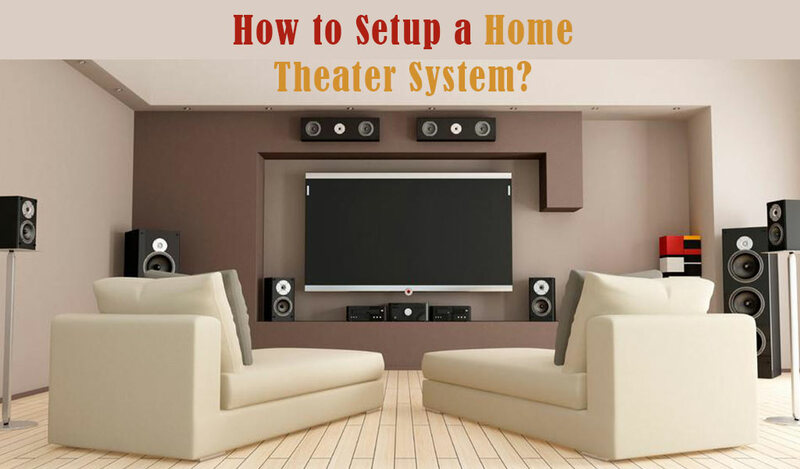 Though it connects to a system, it requires a different power source for a different speaker. The loudness of the speaker depends on the power, and that’s why it should be taken into account when you choose a car amplifier. It is indicative of the performance of what type of sound you want from your amplifier. However, the power of an amplifier is expressed by the watts per channel. The higher number indicates the more powerful amplifier. If the amplifier you choose delivers weak power to the speaker, the sound can be distorted. So, never compromise on the power. If you are new to build a car audio system, buy a head unit included pre-amp outputs and an amplifier included line-level inputs. Now connect the unamplified signal inputs to the amplifier and enjoy the crystal clear sound. 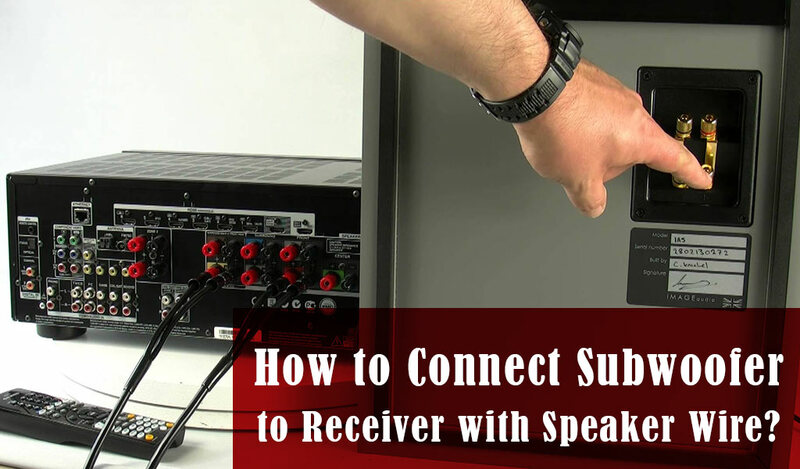 On the contrary, if you have an existed car audio system and you want to install an after-market unit or factory head unit, you need a speaker-level input. This connection will end up a better sound experience without getting additional wires or adaptors. If you are an audiophile and like low distortion with high-detail audio experience, this class A is made for you. It is not common as it wastes a huge amount (almost 20%) of energy. The amplifiers which transistor drives the output signal is called a class B amplifier. It conducts only the half cycle of the input and also a huge waste of energy. So, it is also not popular and widely used. Class A/B somewhat works like class A but wastes less energy than the above-mentioned amplifiers. It is 50-60% efficient and widely used in high-end car amps for decades. It produces high sound quality with low distortion of noise. Class D is the newest technology and approach of audio amplification. It has an incredible efficiency (more than 90%) with the new and easy installation. Here is another decisive factor in choosing the best car amplifier. The amplifier you choose must be compatible with the car audio system. Some pre-installed factory head units and aftermarket units don’t come with preamp outputs or external output. So, pay a close look on the compatibility of your amplifier and the car stereo system. So, what’s the purpose of investing in the car amplifier? Of course, having a better sound experience. Car amplifier significantly improves the audio quality of the car audio system. But better sound quality depends on many factors such as frequency, decibel, impedance, filters and so on. So, when you decide to have a new amplifier, look intensively at the specifications whether the above features are available or not. The underpowered speakers can never give you comfortable listening experience due to its limitations. Even, they can ruin your mood while you need it for a long drive or any other festive occasion. As the quality and clear sound depend on the power, you need a perfect car audio system. Also, the car audio system can’t perform its best without the best car amplifier. All the components of the audio system including the speaker units, component speakers and subwoofers need sufficient power that is only possible from the high-quality amplifier. Otherwise, your complete system gets damaged due to insufficient power. Get the best car amplifier, listen to your favorite songs and enjoy long drives. Stay energized, alert and safe!